I have trough my cooperation with favoritgarner.se been able to try the new yarn Whirl by Scheepjes. 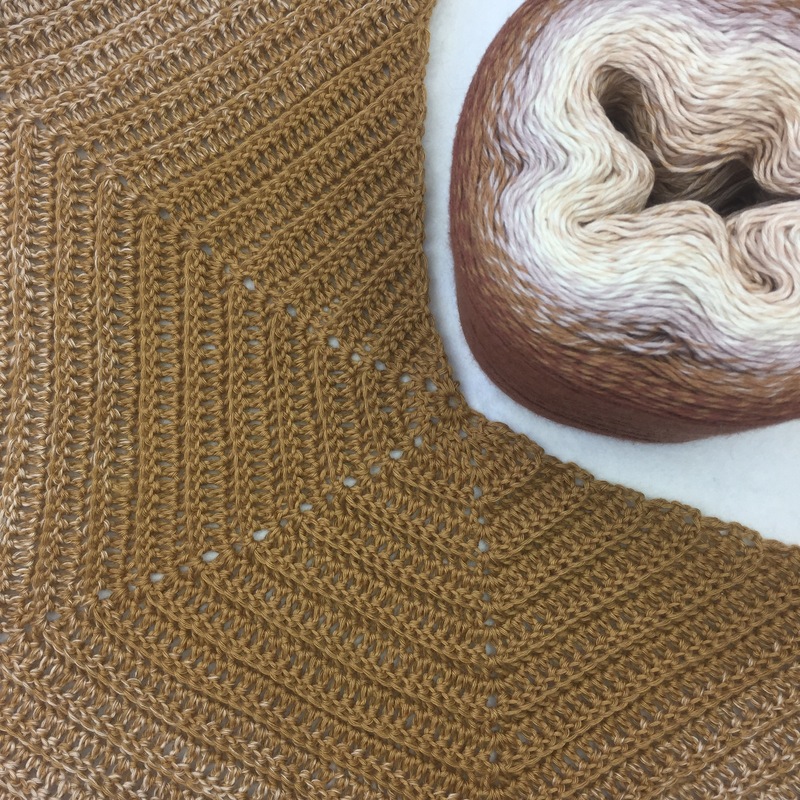 I recived this yarn cake in the color Caramel core blimey. It’s a 4-ply yarn in 60% cotton and 40% acrylic. It’s different from similar yarns because it’s twisted. It comes in 12 different color combinations. 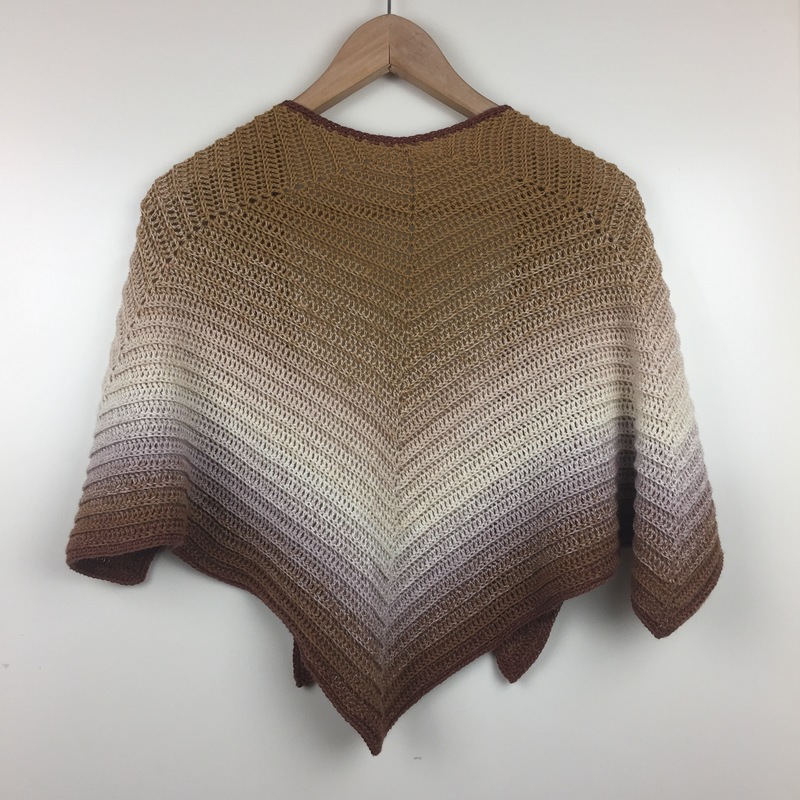 I wanted to make a 5 sides shawl and I wanted to use back post stitches. 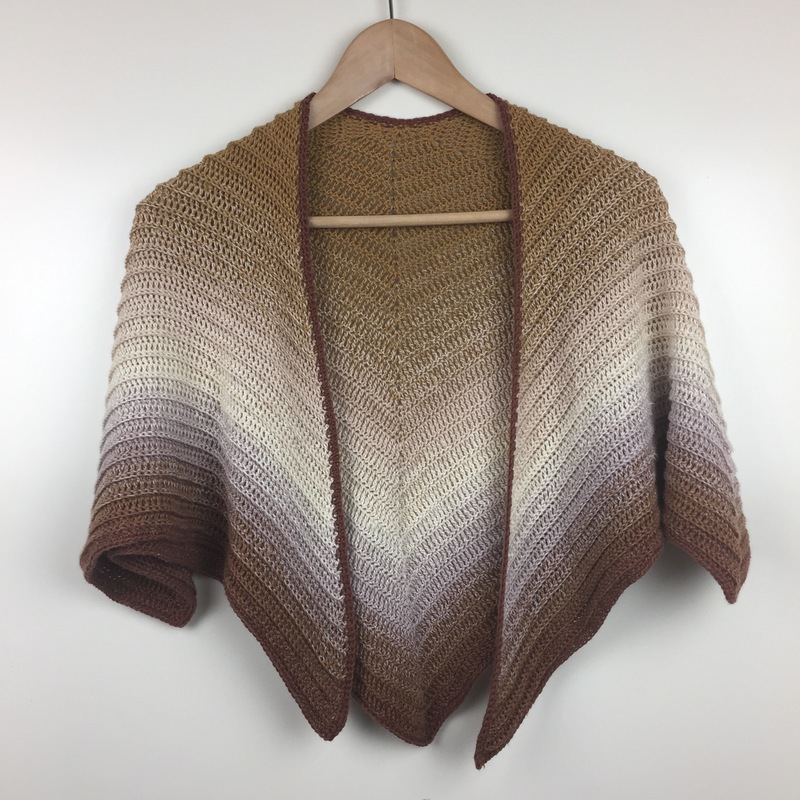 The pattern I came up with is called Lauras shawl. I have made a tutorial video. It’s in swedish, but it might be usefull if you have the pattern printed in English. Ch4, create a ring by making a ss in the first ch. Repeat row 3 and 4 25 times. All the rows are inceased by 8 stitches. 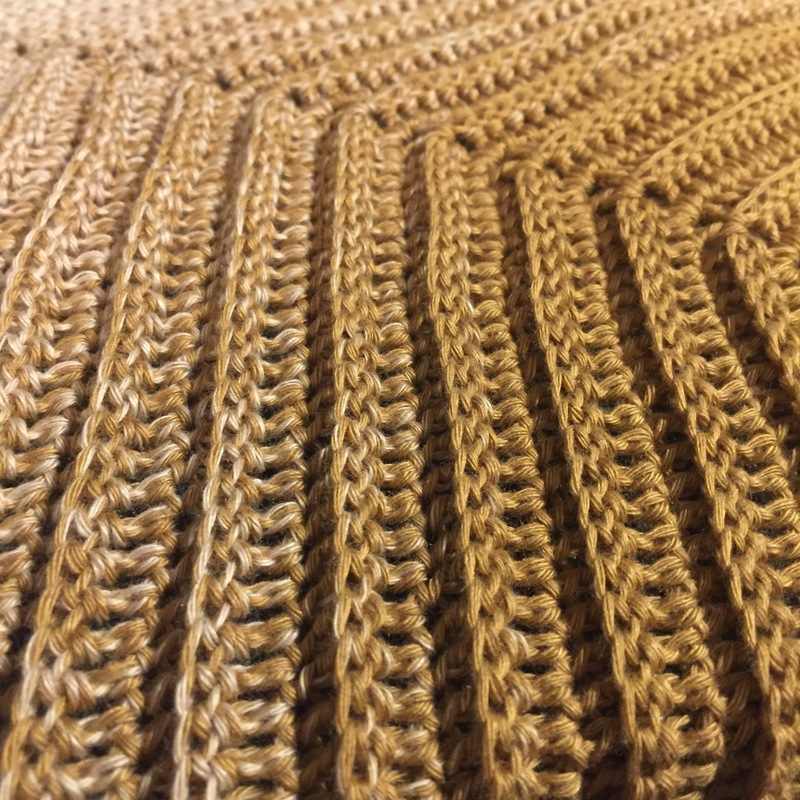 You can change the size of the shawl by repeating row 3 and 4 more or less times. All the rows starts and ends with 2dc. Crochet [dc, ch, dc] in all corners. Every second row is made in dc, and every second is made in a combination of dc and Bpdc. Nästa 🇸🇪 Hur det går med min stickning. 🇺🇸 About my knitting progress.